WHY IS COFFEE SOLD IN 12 OZ. BAGS? Are you curious why most coffee (including ours) is sold in 12 oz. bags? Part of it is probably due to price point competition, but there are a couple of other reasons as well. -- Green coffee loses 15-20% of its weight during the roasting process, so one pound ends up somewhere between 12.8-13.6 oz. after roasting. --An average family probably goes through a 12 oz. bag in about two weeks, so this allows them to use all the coffee before it goes stale. --A 12 oz. bag encourages consumers to try a new coffee blend or brand of coffee. --Bonus: Some claim 12 oz. fits perfectly in a mason jar for airtight storage. (Our coffee is already in an airtight ziptop bag). If you haven't already, we hope you'll try our Deep South Coffee Factory coffee! 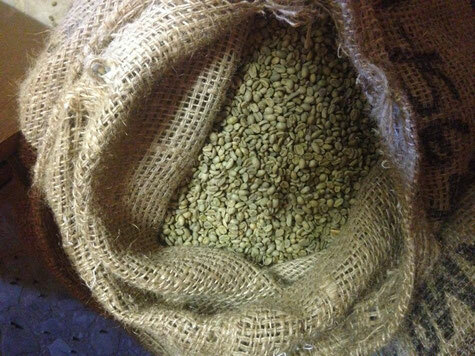 Pictured are some of our green coffee beans before the roasting process.